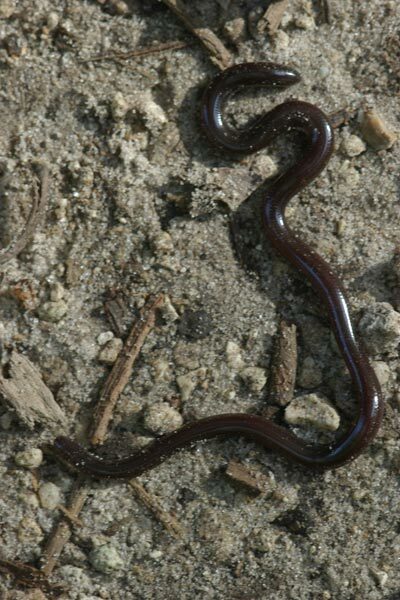 This species was classified as Ramphotyphlops braminus until a restructuring of blindsnake taxonomy in 2014. 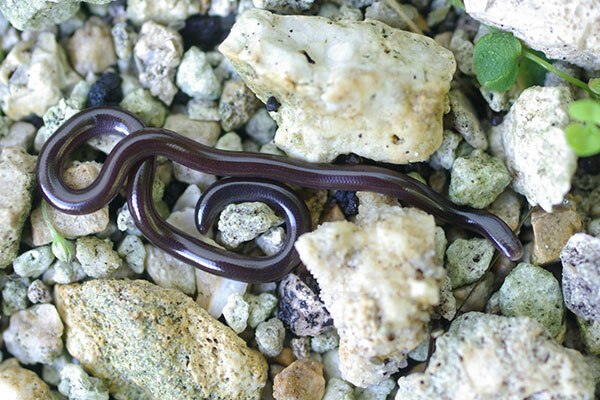 These tiny snakes look like dark shiny earthworms. This Southeast Asian species has successfully colonized south Florida and many other subtropical and tropical regions as a stowaway in the soil of nursery plants. They are fantastic colonizers, due in large part to the fact that they are perhaps the world's only entirely parthenogenetic snake species. That is, they are all females, and reproduce asexually, so it only takes one to start a colony. I had seen these on a few occasions over the years in South Florida but I had never managed to detain one long enough to get a picture; they are extremely squirmy and excellent at escaping, despite their tiny size. Once my wife and I found five or six of them crawling around inside my mother in law's home. We chose not to tell her that her house was infested with snakes. Some day I'll try to get an actual good photo of these reflective, squirmy, tiny snakes. But at least this one is a little better than the last one.